If you want a truly close shave, the first step in the process shouldn’t be slathering your face with your favorite shave cream, soap, or gel. Instead, apply pre-shave oil before the lather, and your razor blades, reach your facial skin. Pre-shave oil is an excellent lubricant that also provides another layer of protection against common irritants caused by shaving. In this post, we’ll look at the best pre-shave oils for 2019, including the Art of Shaving’s Pre-Shave Oil and examine some pre-shave oil buying tips, how to apply pre-shave oil, and how pre-shave oil is different from other shaving lubricants. The best pre-shave oil will enhance your wet shaving experience. It will help you get a close shave without skin irritation. In short, it’s something you need in your shaving kit but you carefully need to choose when buying it. We think the following suggestions will help you as you decide which one of the many pre-shave oils are right for you. Pre-shave oils usually consist of a blend of different oils (OK, seems too obvious), including olive oil, grapeseed oil, castor oil, and many others. You’ll also find vitamin E in most pre-shave oils; it has many benefits for the skin, including that it helps ease inflammation. 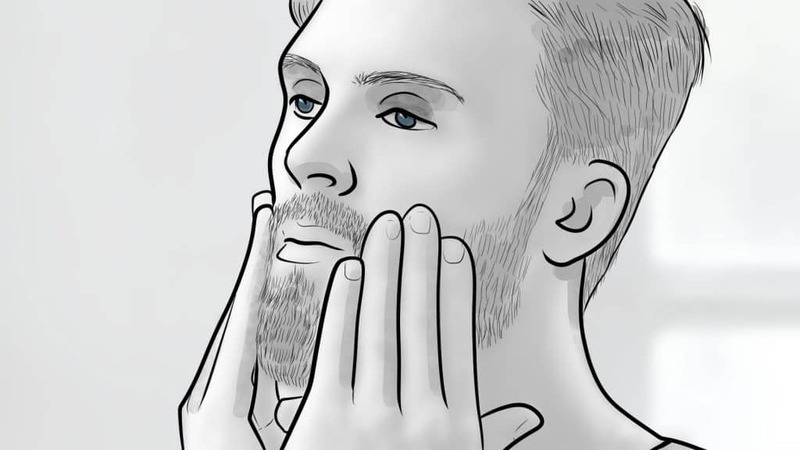 Look for ingredients that help moisturize the skin, give your face the right amount of slickness, and make your beard as soft as possible before you apply your favorite shave cream. We also advise that you choose a pre-shave oil made from natural ingredients that won’t harm or irritate the skin. Keep your skin and facial hair type in mind when deciding which pre-shave oil to choose. If your skin is rougher and your beard coarse, you should look for a thicker oil that penetrates skin cells and hair follicles to soften them up for shaving. Pre-shave oils are ideal for men with sensitive skin, and most should work if you’re the sensitive (skin) type but it never hurts to read the label carefully. If your skin is prone to breakouts, then look for lighter pre-shave oils that won’t clog your skin’s pores. Pre-shave oil container types abound: pumps, sprayers, droppers, and so on. Choosing one is a matter of personal preference but your main concern should be ease of application, i.e., you should be able to dispense the exact amount of oil you desire without wasting any product. As a general rule, droppers and pumps make it easier to get the right amount without waste. Another factor to consider when buying a pre-shave oil is the type of material used to make the container. Amber glass bottles are ideal because they block sun rays that can decrease your pre-shave oil’s shelf life. The price of pre-shave oils varies widely and the same rule applies to them as many other of life’s potential purchases – just because something costs an arm and a leg doesn’t mean that it’s a superior product or item. That said, many high-priced oils consist of the finest ingredients, but so do lower-priced options. We strongly believe in finding a quality product that fits your budget. Many mid-priced pre-shave oils include quality ingredients that nourish and protect skin without unnecessary frills. Pre-shave oils typically come in 2 to 4-ounce containers. While the quantity of oil is important – and helps determine its price – know that a little bit of it goes a long way. You’ll only need a few drops per use, and if you use it judiciously you won’t have to buy another bottle anytime soon. A product’s scent is never at the top of the list for choosing a grooming product, or at least to us. On the other hand, make sure you don’t find the scent offensive, because it may stay with you a while. Also, be aware of ingredients that help create a scent but of which you may be allergic. The good news is that there are plenty of scent-free pre-shave oils out there if the fragrance isn’t your thing. Next, let’s jump into our pre-shave oil reviews. 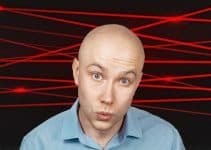 The good folks at the Art of Shaving like to point out that the average man shaves more than 20,000 times during his life. While that’s a lot of time spent in front of the bathroom mirror, AoS wants no man to take a single shave for granted. That in mind, they make quality products such as their Pre-Shave Oil, which we think is the best men’s pre-shave oil. It preps the skin to help provide a comfortable shave without feeling oily. It’s thick and provides an excellent protective layer for when you grab your razor and get down to business. It contains a host of natural ingredients, including castor oil, olive oil, and Hexyl Cinnamal – which sounds chemical but is an extract from chamomile. It doesn’t include synthetic dyes. You’ll love the lubrication that this oil provides, whether you’re shaving your face or your head. It makes for a smooth shave. Because it’s thicker than many oils, you don’t need to use a lot of it when applying it to your face. One 2-ounce container of it should last you a long time. The Art of Shaving’s Pre-Shave Oil has a pleasant sandalwood scent that’s subtle and not overpowering. While this oil won’t leave a residue after you’ve shaved, you do need to check your razor frequently and rinse it when needed (because of the oil’s thickness). Note: the Art of Shaving’s Pre-Shave Oil is more expensive than some other brands, but you’ll get a quality product that’s worth the price. 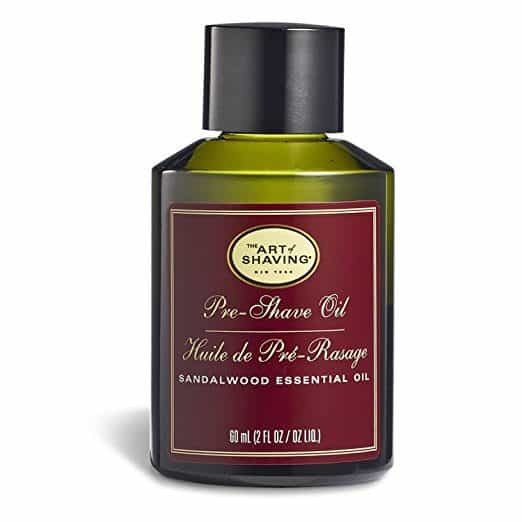 You’d be hard-pressed to find a better pre-shave oil than the Art of Shaving’s sandalwood-scented oil. It provides the perfect preparation for a close shave while providing ideal protection for your skin. Taconic Shave is an American company that specializes in artisan-made, all-natural men’s products, including its Premium All Natural Pre Shave Oil. The latter is a great product at a nice price and one that’s certain to enhance your shaving experience. Made with a nice list of skin-healthy oils – including safflower, grapeseed oil, and castor oil – Taconic’s shave oil is free from artificial ingredients that may irritate your skin. Safflower oil provides needed moisture to the skin, while castor oil has antibacterial properties and helps make your skin and facial hair softer. We also like Taconic’s All Natural Pre-Shave Oil because it does a great job of lubricating the skin while softening stubborn facial hair to make it easier to get a close, smooth shave every time. It also has the right amount of slickness to help your blade slide more smoothly. This oil isn’t as thick as some other oils we’ve listed here, but that doesn’t mean it won’t perform in a way that helps improve your shave. Besides, some users appreciate not having to clean excess oil and cream from their blades after every swipe. It’s also excellent for use on your head if you rock the bald look; in fact, we think it’s the best pre-shave oil for your head. Another thing to like about this oil is that it comes in an easy-to-use, no-mess dispenser that lets you get just the right amount of oil every time you use it. Meanwhile, it has a subtle scent that won’t overpower other scents such as the fragrance of your soap, shaving cream, or favorite cologne. Taconic’s Premium All-Natural Pre Shave Oil is a great product that’s budget-friendly. You’ll like how it gets your face and beard ready for a close, comfortable shave. There’s a lot that defines a good shave, whether it’s smoothness, closeness, or a lack of skin irritations such as nicks and cuts. All of the pre shave oils on our list answer the bell in all of those categories, including Seven Potions’ Pre Shave Oil For Men. The latter lubricates and protects your face and was developed with quality and performance in mind. It’s also ideal for men with sensitive skin because of the way it protects the face while reducing the risks of getting nicks and cuts. But it also provides excellent lubrication and hydration to provide a close shave, and even eliminates post-shaving ingrown hair. You can use the Seven Potions Pre Shave Oil on its own, or also when combined with your favorite shaving cream or soap. It’s fragrance-free so that it doesn’t interfere with the scent of your shaving cream. Either way, you can expect an irritant-free shave even if your facial skin is more sensitive than most. It softens facial hair to lay the groundwork for a smooth shave, every time you use it. We also like the texture of the Seven Potions’ Oil – it’s not so thick that it will clog your razor, but it’s not too thin, either. 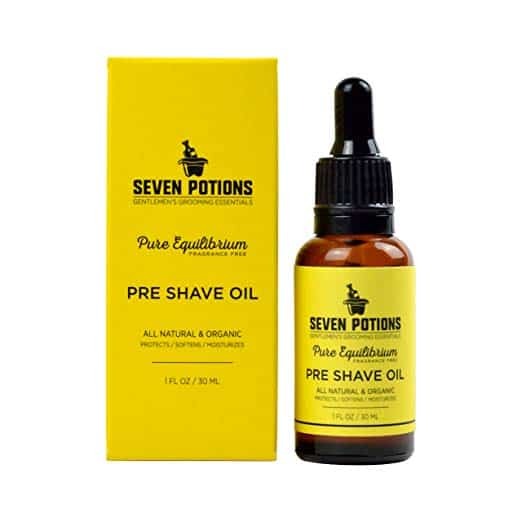 Like all of Seven Potions’ many men’s grooming products, their Pre Shave Oil For Men consists of all-natural, organic, vegan, and cruelty-free ingredients. You don’t have to worry about artificial chemicals, parabens, preservative, artificial fragrances, or colorants. 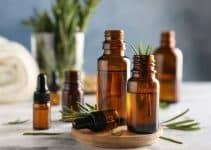 Instead, you’ll find natural ingredients such as olive oil, sweet almond oil, tea tree essential oil, and lavender essential oil, to name a few. Few, if any, but perhaps doesn’t protect against razor burn as well as other oils. Your pre shave oil should always make your shave better. It should leave your skin smooth and hydrated. It should protect against nicks and cuts. Those are all reasons why we like Seven Potions’ Pre Shave Oil and why we think you’ll like it, too. 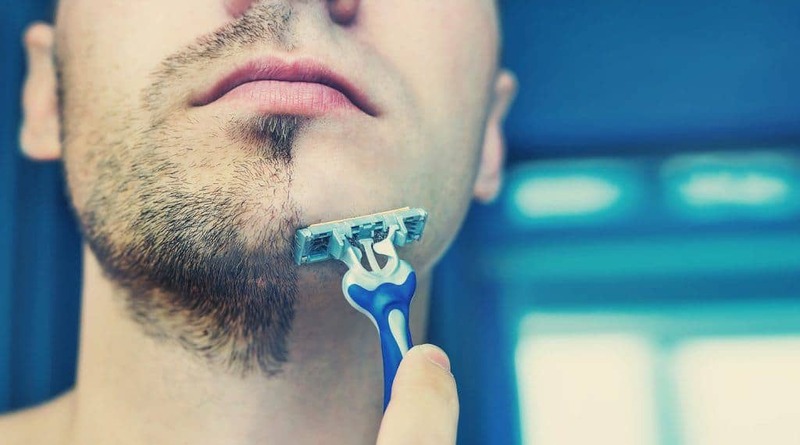 Whether you love shaving or consider it a daily dose of drudgery – and we hope you don’t – you’ll agree with fellow shavers that the process can, at times, be a bit painful if you’re not careful. Painful, that is, in that it can cause razor burns, nicks, and cuts. That’s especially true if you have sensitive skin, which can make shaving not very fun at all. Fortunately, shaving products such as the Pacific Shaving Company’s Natural Shave Oil have sensitive-skinned men in mind. Marketed as “your skin’s best friend,” the Natural Shave Oil is the best pre-shave oil for sensitive skin. The Pacific Shaving Company’s pre-shave oil’s formula helps soothe skin while reducing irritation and bumps, and has a variety of safe natural and organic ingredients. It leaves your skin feeling moisturized and healthy-looking. The Natural Shave oil has a nice, thick consistency, which helps provide a good layer of protection and lubrication, but it’s not so thick that you feel like you need to scrub it off after every shave. It also has a non-sticky texture, unlike many other pre-shave oils available today. Its slickness, meanwhile, is ideal and helps your blade to glide across your skin and stubble effortlessly. The Natural Shave Oil’s all-natural list of ingredients includes sunflower seed oil, avocado oil, cucumber fruit extract, aloe vera leaf juice, tangerine peel oil, vitamin E, grapefruit peel oil, and a host of others. It’s an eco and animal-friendly mix that are safe for your skin and provides excellent lubrication. Another benefit of the Natural Shave Oil is that it eliminates the need for aftershave products, as a good pre-shave oil should. It has a mild but pleasant scent that’s activated by moisture, but not in a way that wafts oppressively above your work cubicle or office. 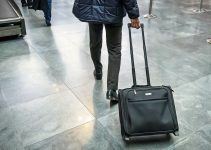 The Pacific Company Natural Shave Oil comes in a travel-friendly container that meets TSA approval. That said, it’s not a large bottle but the good news is that you don’t need to use a lot of it to reap its pre-shave benefits. You can use it alone, but it’s most effective when used with shaving cream or gel. Men with sensitive skin often struggle with a variety of shaving issues, but the Pacific Company’s Natural Shave Oil has your back (and face). You’ll enjoy a close, comfortable shave without incurring the nicks, bumps, and cuts you get with many other products. Lather & Wood’s pre-shave oil is another product that helps to make your daily shave a smooth ride. It’s great for sensitive skin, for starters, which means you won’t leave home with a face that feels like it has burst into flames. Lather & Wood makes their Pre-Shave Oil with a mix of seven all-natural oils – such as grapeseed, olive oil, and cranberry oil – that helps make for a comfortable shave, even if you have a tough-as-nails beard, or ingrown hairs. And, as mentioned, it’s an ally if you’re prone to razor burn. The mixture is formulated especially for wet shaving. All it takes is one pump of the bottle, 30 seconds of waiting, and then massaging it into your whiskers. You can also rest easy if you’re worried about dispensing too much of the oil because the pump controls the application amount, which is very handy, indeed. Some users and reviewers say that Lather & Wood’s Pre-Shave Oil is hearty enough to use without applying your favorite shave cream or shave soap before you begin shaving. Whether you choose to do so is up to you and the toughness of your beard, but the fact that some do is a testament to the oil’s strength (and know that the team at Lather & Wood urges you to give it a try). The oil also creates an excellent slickness that enables your blades to glide effortlessly over your skin. If you’re running out of time and in need of a quick shave, you can be confident that L&W’s oil will deter any potential damage. Lather & Wood’s pre-shave oil is unscented, another plus for men who have allergies to fragrances and their ingredients. There’s a lot to like about Lather & Wood’s Pre-Shave Oil – from how it works on sensitive skin to the fact that you don’t need to use a ton of it for each application. It’s a good option for any man, while men with sensitive skin should give it a try. For you men who like vintage, retro types of things, there’s no reason why your pre-shave oil can’t be old-school as well. Taylor of Old Bond Street has sold its Pre-Shave Oil since, well, forever, and it comes in exquisite vintage packaging. Here’s the other thing – it works. A single application of this oil before each shave prepares your skin for a nick-free, smooth shaving experience, and a closer shave overall. But making quality products is nothing new for Taylor of Old Bond Street, which first opened its doors in London in 1854. All of its products meet high standards and include natural ingredients where appropriate. That said, its Pre-Shave Oil doesn’t have a long list of natural ingredients as some other oils, but their oil is still good for men with sensitive skin (and all skin types). The Taylor of Old Bond Street oil has a very thick texture, so you don’t have to use a lot of it for each application. Moreover, it doesn’t clog up your blades despite its thickness. Most users like its distinctive sandalwood scent, although some find it to be a bit overpowering. But the scent fades quickly after shaving, so you don’t have to worry if you find it a tad heavy-handed. While you’ll pay a bit more of Taylor of Old Bond Street’s Pre-Shave Oil, you have the comfort of knowing that you’re purchasing it from a company that maintains a strong reputation thanks to know-how and 164 years of service. You don’t stay in business that long if your products are subpar. And, if you want to enhance your shaving experience even further, you can pair their Pre-Shave Oil with their Sandalwood Shaving Cream. Taylor of Old Bond Street knows a thing or two about creating the ultimate shaving experience and their oil is a terrific option for any man. It’s a product that lives up to the company’s lofty reputation. Who doesn’t like to save a few bucks? But saving money isn’t beneficial if you spend it on something that doesn’t work, or do what it promises. Shave Secret provides the best of both worlds, however, with a pre-shave oil that costs less than many brands but delivers the same – if not better – results than more expensive products. Additionally, you only need to use a few drops of it to get the kind of protection and lubrication that you expect from a pre-shave oil. Here’s the other thing: it not only paves the way to a smooth, comfortable shave on your face, but women find it useful to shaving around bikini lines. Of course, we’re interested in how it works on a man face – not that thoughts of bikini lines aren’t interesting – and it’s going to help give you a clean shave no matter what type of razor you use with it: cartridge, double-edged, safety, etc. Many, many men who prefer wet shaving list this oil as a go-to product. It also has just the right amount of thickness to provide ample protection and lubrication. Meanwhile, it has a light scent that some reviewers say reminds them of cloves and/or mint. Among its ingredients are essential oils, carrier oils, prescription-grade menthol, and natural fragrance. Reviewers and users of the Shave Secret Shaving Oil also say that it’s an excellent choice if you’re trying out pre-shave oil for the first time, partially because it won’t break your budget. Shave Secret Oil gets high marks from reviewers and users, and it’s notable that there are over 1,000 reviewers of it on Amazon. Like any good product, it does what it says it’s going to do. There’s a right way and wrong way to apply any grooming product and pre-shave oil is no exception. While there’s nothing overly complicated about it, there are some steps you should follow to make sure you get the best results from your oil. Taking a hot shower or applying a hot towel to your face will open up your skin’s pores and soften your whiskers. Also, the heat causes hair follicles to swell, which makes it easier for your razor’s blade to cut them cleanly. A cleaner cut means less pulling on the root of the hair that can cause skin irritation. 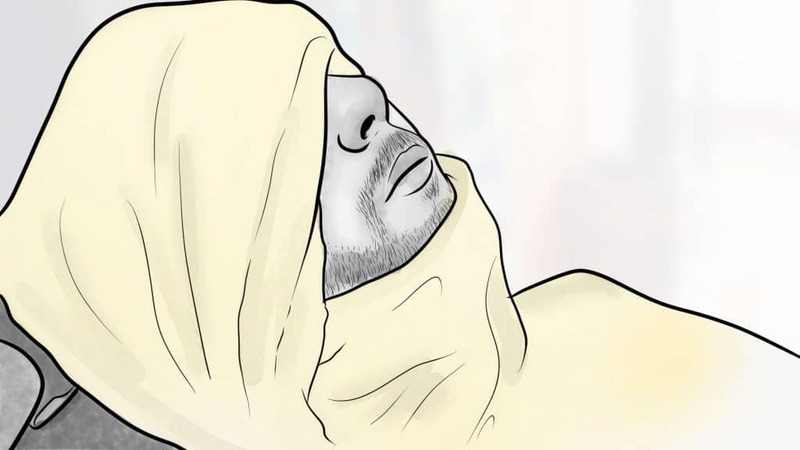 After you finish your shower or hot towel treatment, pat your face dry with a towel. Avoid rubbing it because the texture of the towel may irritate skin. Again, you don’t need a bucket full of pre-shave oil to properly get your face ready for shaving. Three to five drops (roughly a dime-sized amount) is usually more than enough to get the job done. Rub the oil between the palms of your hand and then apply it to your skin. The next step is to apply your shave cream. If you’re a wet shaving aficionado, you may choose to use a quality shaving brush. Shaving brushes not only help to spread your shave cream evenly on your face but also help lift hair follicles to make them easier to shave. Applying shave cream with your fingers won’t lift hair follicles in the same way. We won’t cover the techniques of shaving in the post, but perhaps the most important point is to make sure you’re using a quality razor, whether it’s for your face or a razor for your head. You’ll also want to choose your razor carefully if you have sensitive skin. Perhaps the first rule of thumb when describing pre-shave oil is that it’s not the same as beard oil. After all, beard oil is applied to your beard to help make it – among other things – softer and easier to brush (and it may leave a nice shine). Pre-shave oil is also used on whiskers, but its main purpose is to help create a smoother shave. You apply it to your face, preferably after you’ve showered when your facial hair is softer. The oil works by lifting hairs away from your face which, in turn, paves the way for a shave that’s free from nicks, cuts, and other irritation. Another major benefit of pre-shave oil is that it creates a layer of lubrication on your skin that also contributes to a closer, more comfortable shave. So, if you’re someone who frequently experiences skin irritation while shaving, a pre-shave oil will help alleviate the problem and you should include a bottle of it in your grooming kit. Pre-shave oil typically is made from a combination of ingredients that includes essential oils, carriers oils, and oils derived from vitamins. Carrier oils, which “carry” the nutrients of essential oils that provide benefits to skin and hair (and for many other uses), make up most of a pre shave’s solution – at least for most products. Some carrier oils commonly found in pre-shave oils and many beauty products including castor oil, grapeseed, argan, sweet almond, and many more. Castor oil, which offers a variety of benefits for skin and hair, is found in most pre-shave oils and has a lighter viscosity than many other carrier oils. It helps heal inflamed skin, such as irritation caused by shaving, while also helping to hydrate the skin and even to reduce signs of aging. Not every pre-shave oil consists of 100% natural ingredients, as you may have noted already in our reviews above. Many include synthetic ingredients that help to fight bacteria on the skin while also acting as an antiseptic. Some men even use a pre-shave oil instead of shaving cream and say they just as close of a shave. But pre-shave oil’s primary purpose is to provide a base upon which shaving cream is added to help create the most comfortable shave possible. Many people don’t realize that shaving soap has a longer history than even shaving cream (or foam) – hundreds of years of history to be exact. It’s old-school stuff that your grandfather and great-grandfather probably used (as well as their grandfathers and great-grandfathers). Unlike pre-shave oil and shave cream, shaving soap comes in a solid form shaped like a hockey puck. Building a lather from a shaving soap takes a bit of time, and includes adding water to it, but soaps provide excellent lubrication for your shave. Shaving soap comes in a variety of types, including triple-milled, which is the most expensive but produces a dense lather that’s second-to-none. In general, shaving soap is more expensive than shave cream but a shave soap should last you for up to four months. Most shaving soaps have a subtle scent, such as sandalwood, that isn’t that noticeable. Some would argue that shaving soap has no scent whatsoever, but that isn’t true for every product. Things can get a bit confusing when talking about shave foam or shave cream. 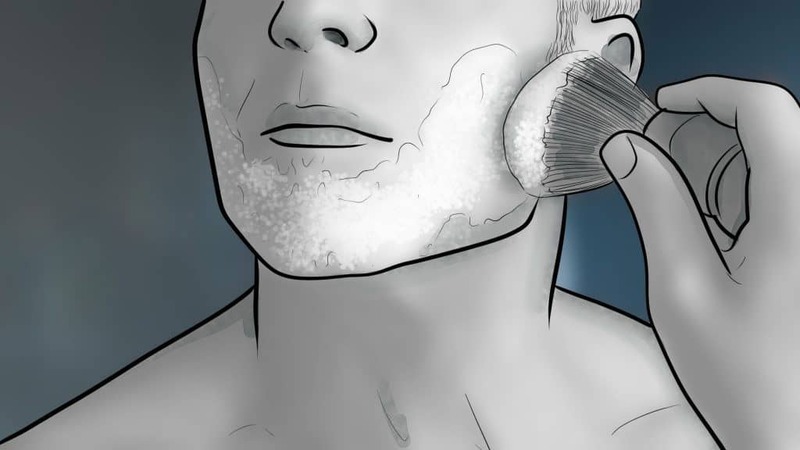 But here’s the thing: the stuff that many men call shave cream – the stuff that comes in an aerosol can and you’ll find on the shelves of every supermarket, pharmacy, and convenience store you can name, is actually shave foam. Shaving foam contains a lot of air to gives it its fluffy feel and nice lathering capabilities but the excess air also makes it harder for the foam to get your whiskers to stand upright. And that increases your chances of experiencing razor burn. Fortunately, many shave foams contain ingredients such as aloe vera that help the razor to glide smoothly over the skin without irritating it. While shaving soap, which you mix with water, produces a lather that resembles Santa’s beard, shaving foam isn’t far behind. Shaving foam is a great “starter” product for anyone new to shaving because you don’t have to build the lather on your own and because it’s easy to apply. Of course, that doesn’t mean it’s just for newbies because many, many men rely on shave foam for facial lubrication their entire lives. Most shaving foams include some fragrance and their scents vary widely from product to product. Shaving creams provide a great alternative to shave foam and shave gels, albeit a more expensive alternative. They’re usually worth the investment, however. Shave cream typically comes in a plastic tube that enables you to squeeze the cream out like toothpaste. You don’t need to use a lot of it to get a full, rich lather, and it contains ingredients that provide a good layer of protection and soften your beard. Moreover, they keep your skin moisturized long after you’ve finished shaving. Using a quality shave cream means getting a shave that’s free from irritation because there’s minimal pulling or tugging. That makes it good for men with sensitive skin, but you’ll also find creams made to work with certain skin types. Shave gel represents the latherless approach to shaving and provide excellent lubrication, which is one reason why it’s a favorite of men with sensitive skin. Furthermore, most hair gels are fragrance-free – another plus for sensitive-skin types. A true shaving gel is in gel form, which may seem mind-numbingly obvious, but cheap wannabe gels form a lather straight from the can. A gel’s “lather,” if it even can be called that, is thin and you can see through it, which makes it easier to maneuver your blade. But the gel itself, as it comes out of the container, that is, is thicker than traditional creams and soaps. Another one of gel’s benefits is that it won’t dry out your skin and many of them have moisturizing ingredients (such as aloe vera) that minimize existing dry skin problems. If your face is overly dry after shaving with soaps, creams, or foams, then shave gel is an ideal alternative. Making our picks for the best pre-shave oils for 2019 took into account several factors, which first and foremost is performance. 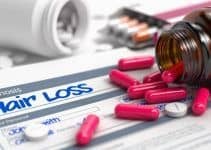 An oil that causes nicks, cuts and other skin irritations in a multitude of users won’t make the list. We also took into account ingredients, the more natural the better, price, and how much oil you get for the price. A product’s scent is never a high priority during the selection process, but we do consider it. As always, we’d love to hear from you. Do you use pre-shave oils and, if so, what product do you prefer? Have you tried any on our list? We welcome your feedback and suggestions.